Finally it’s Friday: which way is it?? 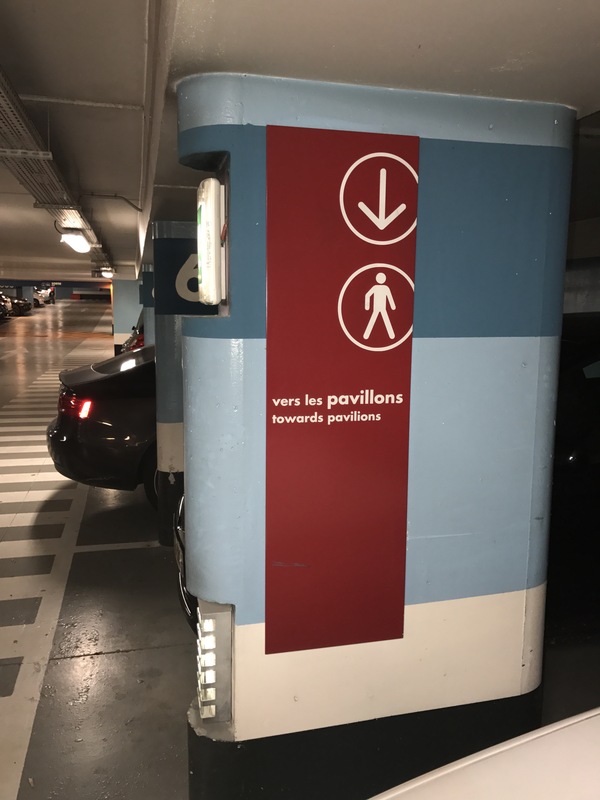 Quick routing question to all y’all…when you stand in front of a panel like this (and want to get to “the pavilions”), do you continue straight ahead against the direction of the arrow, or do you turn around and follow the direction of the arrow?? ?